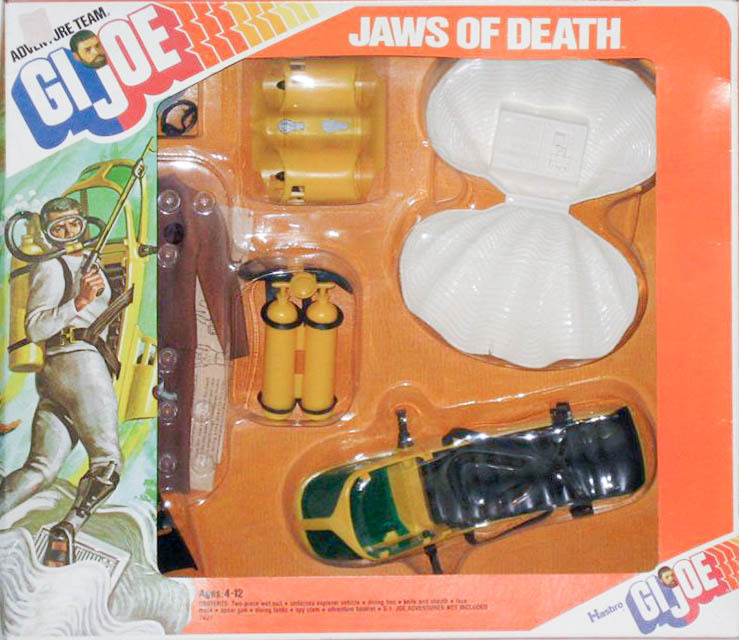 Jaws of Death (7421) is a nearly impossible set to find in completely original condition. This is because the unique grey wetsuit seems to harden and rot away more than any of the other ones made for GI Joe, even the tough to find yellow Missile Recovery top. The suit in the spin above is a reproduction. The other pieces of the set are obtainable and consist of yellow tanks and a yellow and black version of the Underwater Explorer. The fins are the late issue open top variety marked only Hong Kong. The knife and spear gun are the unpainted type. Joe's animal nemesis in this case is that most deadly of mollusks, the giant clam. Inside the clam is a spying device Joe needs to disable, though how it can do any spying hidden inside a giant clam beneath the ocean is unclear. Chowder is on the menu for the next six weeks at Adventure Team Headquarters! Image of the rare boxed set below courtesy of John T. Marshall. 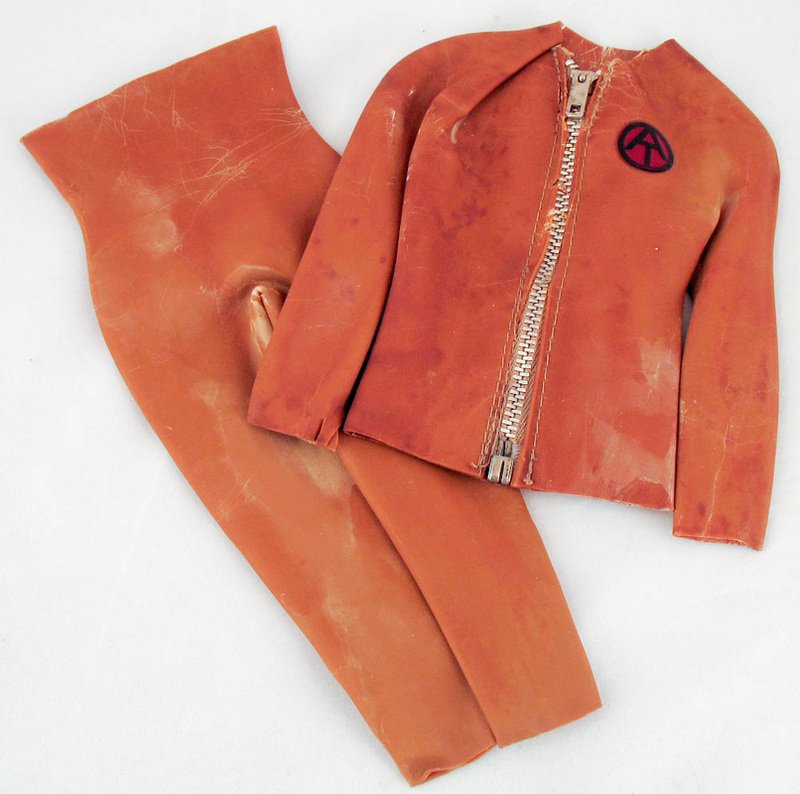 Right, an original suit from the set in the condition they are generally found: discolored and rock hard.